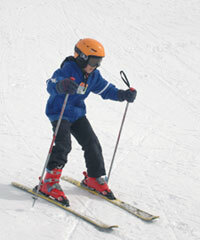 Go with Sierra Adventures and enjoy the finest skiing and snowboarding in the High Sierra. Intro: Winter skiing and snowboarding adventures with altitude, each option is designed for the intermediate to advanced adventurer. We promise steep slopes and untracked powder. We avoid ski and/or snowboarding at ham & egg resorts. You'll enjoy the scenic splendor of the Sierra and have a beautiful view of Lake Tahoe at the top of the mountain. The Tour: Your skiing or snowboarding adventure begins with a pickup at any local hotel. We will help provide your group with any gear or rental needs, then shuttle you to the slopes.